CWI maintenance is one of the top quality janitorial service compnaies in San Diego, and our reputation as the industry leader has been demonstrated with our previous service records and long term customers. 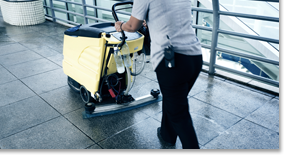 The goal of CWI is to provide customers with full satisfaction by maintaining high quality service and janitorial productus as the low cost. Fully bonded, CWI will assume total responsibility for routine building maintenance and cleaning service, which is focused on commercial building, research institute, industry and so on. CWI team members are well trained for professionalism and highly oriented for customer satisfaction. Also, we are broadening our career as a janitorial supplier with quality products at reasonable price. So we can provide not only quality cleaning services but also quality cleaning products. CWI has been grown with our customers and maintained a good relationship that will last for many years. “A good quality is our duty, and a custom is our tradition"
To give even the most distressed carpet, furniture or partition a fresh look, fell and smell, CWI maintenance employs the latest and greatest techniques. The goal of CWI maintenance is to provide customers with full satisfaction by maintaining high quality service and janitorial products as the low cost. Fully bonded..
You Deserve squeaky clean window, and we can provide them!. We offer wonderfully one time cleaning and ongoing maintenance to commercialproperties. We are broadening our career as hot power washing and steam cleaning with quality products at reasonable price, so we can provide not only quality cleaning..
CWI is your one-stop shop for a wide range of property maintenance and repair solutions. 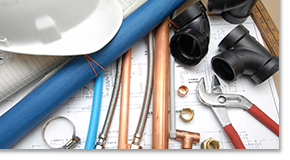 CWI technicians are highly skilled craftsmen, so you know they will get the job done right the first time. The mission of CWI is to partner with property operators to achieve the goal of maintaining and improving the appearance of their properties in order to maximize customer satisfaction and reduce capital improvement costs. After a Tenant moves out, the unit must be quickly cleaned for the next tenant. Our Real Estate Cleaning Services will get your property ready to rent again. We will take care of a deep cleaning inside. Copyright 2015 CWI Maintenance All rights reserved User of this agree to be bound by the maintenance website and regulations.